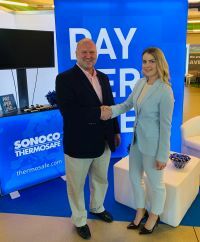 AirBridgeCargo Airlines has signed a leasing deal for Sonoco ThermoSafe’s PharmaPort 360 temperature-controlled containers. It will bolster the carrier’s delivery options for temperature-sensitive shipments and guarantee a broader choice of containers for pharmaceutical consignments. The PharmaPort 360 safely maintains the required temperature in various ambient temperatures from 60°C to -40°C and can be loaded onto standard air cargo pallets. It also has built-in GPS tracking and GPS monitoring.